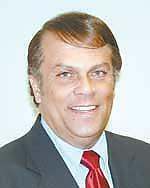 appointed to serve as the City of Dover’s first Council President - a position he has held with honor and distinction since its creation, from May 1990 through May 2001. Robin R. Christiansen served as a member and Chairman of the Building, Plumbing, Mechanical, and Fire Prevention Code Board of Appeals and the Safety Advisory Committee, and as a member of the Parks and Recreation Committee, Legislative and Finance Committee, Chamber of Commerce and County Government, Downtown Dover Development Corporation, and Dover Library Commission. Occupation/former occupation: Inspections account representative, Simplex Grinnell; former employee of Safeway Stores for 18 years. Family: wife, Cindy, a teacher in the Lake Forest School District; children: Sean, 25, Shannon, 22, Alexis, 20, Katherine, 14, Madison 7; daughter-in-law, Beth and grandson, Troy. Pertinent organizations: Holy Cross Church, Dover High School Alumni Association, Dover Little League, Dover High School PTO. Hobbies: Carpentry, sports, gardening and historical collectibles. Education: Graduate of Dover High School, Class of 1968; Delaware State College (major in history and political science). Prior political experience: Dover City Council 1983-2001, serving as council president and vice mayor from May 1990 through 2001; president, Delaware League of Local Governments; member, National League of Cities; Council for Police Training, a two-year term, appointed by Gov. Tom Carper. Have lived in Dover for: 32 years. Associated with the area for 41 years.